We brought a crowd and had two celebrations at last night’s Council Meeting. 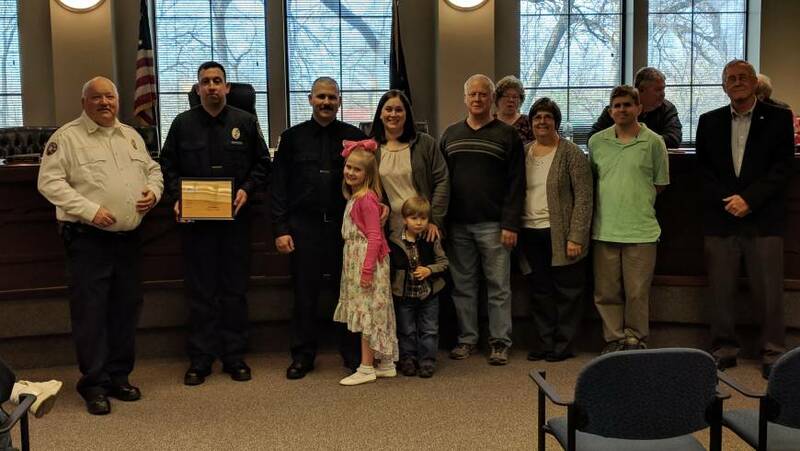 Corey Raisor was pinned by his father as the newest full time member of the department. Volunteer firefighter Jeremy Horn received his 150 hour state certification. Congratulations to both of these firefighters.